Summer is just around the corner, which means it’s time to dust off those propane tank grills and exchange your old or empty propane tanks for new ones in time to enjoy the Florida summer sun. But why would I need to my exchange propane tank? You may be thinking, ‘why would I need to exchange my tank; can’t I just buy a new one?’ The answer is yes, you can always purchase a new propane tank, but buying a new propane tank every time you need more fuel is like buying a plastic water bottle every time you are thirsty rather than investing in a reusable one. It is more cost effective to purchase a few propane tanks and participate in your local propane tank exchange program then to purchase a new tank every time you run out. Refilling and exchanging a tank are the same, right? They are actually not the same thing! While refilling and exchanging propane tanks leave you with the same result, the process differs in time, cost and convenience. Refilling a propane tank does not ensure you will be able to get that tank filled on the same day. Most of the time you need to wait for a certified or trained employee to help you refill your propane tank. This could leave you waiting in a hardware store for hours or until someone with the proper skillset is available to help you. 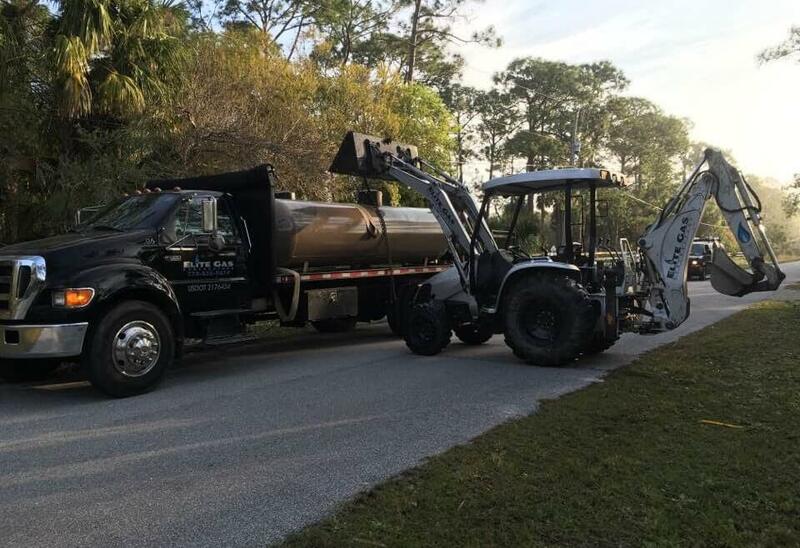 With a propane tank exchange program in Palm City, Florida, you are able to drop off your empty tank and pick up a new one without waiting or making a second trip. That means you spend less time running errands and more time doing things you want to be doing. In general, joining a propane tank exchange program is about the same cost as refilling your tanks. While refilling your propane tank might appear to be more cost effective up front, in the long run it is not. When refilling your propane tank you keep the same tank you brought into the store, meaning you will eventually need to replace the expired tank. All propane tanks have a shelf life and once a tank has exceeded that shelf life it needs to be replaced for safety reasons. By participating in an exchange program you eliminate the personal responsibility of checking the tank’s expiration date; when you exchange your tank (even an expired one) you get a new and freshly certified tank. The benefits of propane tanks go further than just grilling? Propane tanks are not only used for outdoor activities, but can also be a source of energy in and around your homes or RVs! Propane tanks have many common household uses, and the last thing you want to happen is to realize you need to exchange your propane tank just as you are about to throw some grub on the grill or turn on your fire pit. By exchanging your propane tank before the Palm City rush arrives, you’ll be all set to welcome the return of a stress-free Florida summer. Looking for a propane tank exchange program in Palm City, Florida? 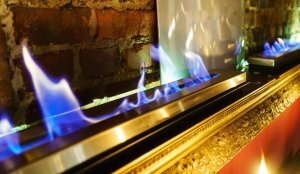 Check out Elite Gas Contractors! Propane gas is a popular and environmentally friendly fuel used by homeowners all over the world. Propane Education & Research Council suggest that North American propane suppliers are meeting the demands of U.S. and export propane. While it’s a natural and inexpensive source, propane is a byproduct of natural gas and crude oil when processed. It’s important to know all about your residential propane in Palm City. This will help you understand where your propane comes from. Like most people, you’ve probably put very little thought as to where this convenience comes from. Propane gas goes through a refining process that separates the crude oil that’s extracted from natural gas at a plant facility. It is then stored as a liquid under refrigeration or moderate pressure. When you use your tank, the pressure is released as a flammable gas. Its odorless and colorless components are easily detected. It is a clean-burning fuel that produces little amount of pollutants when used properly. And when your propane delivery service in Port St Lucie fills your tank for your next BBQ, you’re supporting the US economy and your local gas contractors, too. 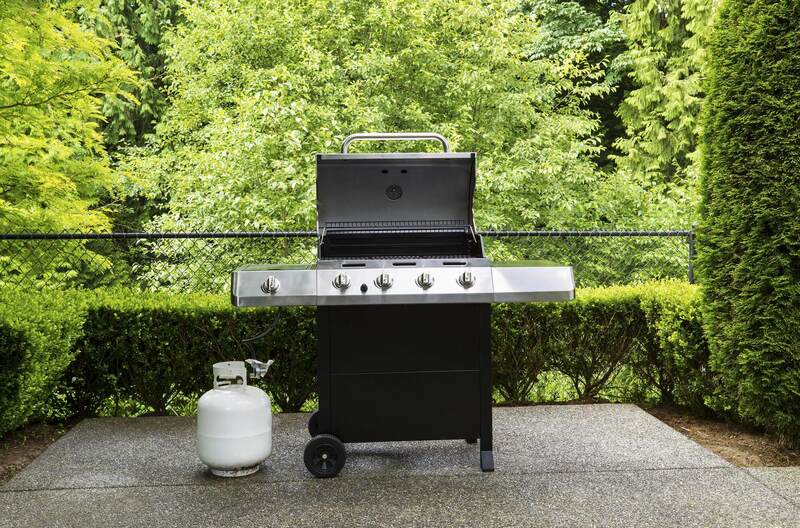 Aside from setting a flame to your latest cookout, propane can help heat your water for bathing or laundry. It’s also commonly used for fuel in automobiles such as traditional vehicles and even construction vehicles such as forklifts, irrigation engines, and turbines. That’s right, fleet vehicles such as taxis and police cars need efficient energy sources as well. Should you heat your barn or operate farm equipment or even indoor machinery, propane can help assist these needs. The next time you mow your lawn, consider a propane-powered mower to get the job done. 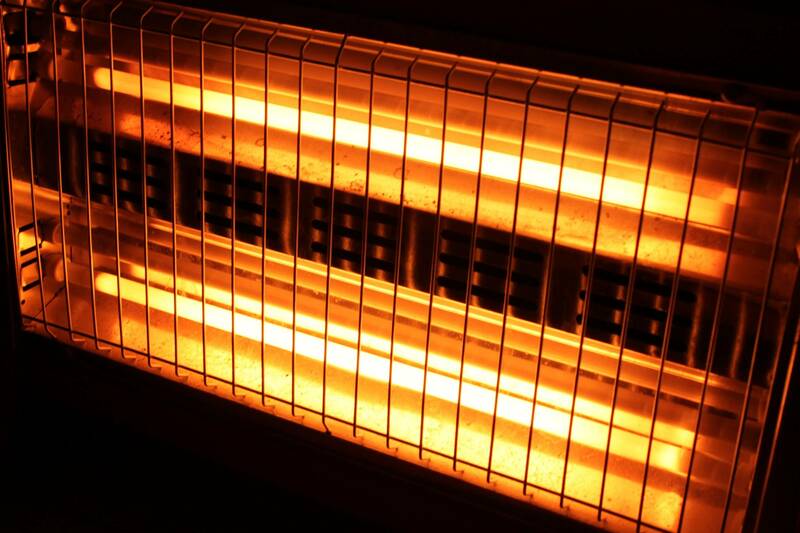 Propane heaters are especially handy for being energy efficient and a cost effective way to heat your home. I bet you didn’t know that propane can even be a power source your outdoor lighting and pool. When you use a heater or spa whirlpool for leisure, you are using propane gas. Your refrigerator and freezer can also use propane gas as well as your radiator and heating system. 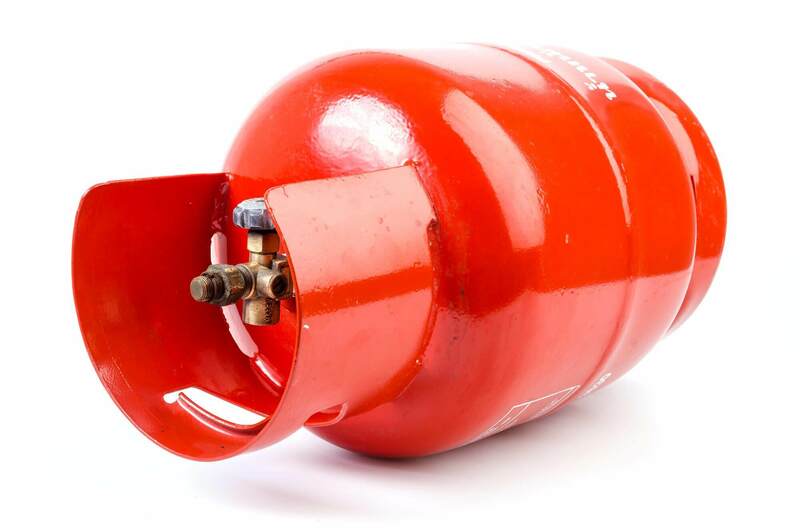 Since propane has the lowest flammable rating of any fuel on the market, it is 20 times more resistant to tank punctures and the leaks are easy to detect. It’s also considered a safer means of energy because it cannot contaminate water or soil and therefore cannot be ingested. Now that you know a thing or two about your propane supplier in Vero Beach, you may want to trade in your tools for something energy efficient. The contractors at Elite Gas provide installation in gas line repair as well as service all your gas tank or line needs. They service Port St Lucie, Palm City, Stuart, Jensen Beach, Vero Beach, and the the entire Treasure Coast. With over 16 years of experience, Elite Gas Contractors is now a full service gas company so you can have a personalized experience. Contact our team today to get your propane refill! It’s never too early to learn about the importance of natural gas safety. Children are watching everything we do from cooking on the stove to driving our car. They often enjoy playing house or dress up, mimicking the normal habits they see every day. We want our children to make wise decisions when it comes to proper use of appliances. And kids and parents need to be aware of the dangers that follow improper usage of natural gas. As a family, you should be on the same page when it comes to noticing changes in your household. The same way you talk about gas grill safety and other hazards in your home, your natural gas conversation should be the same. When a natural gas leak happens, you want to know what signs to look for. Carbon monoxide is an odorless and tasteless gas that is considered a ‘silent killer’ among households. If you’re not watching for signs, you could easily become one of the 400 carbon monoxide victims each year. Tell your children about the rotten egg smell in their house and if they smell it they should get out right away and get your attention. Most propane delivery services in Palm City add a chemical called mercaptan. This chemical makes even the smallest gas leak noticeable. After you’ve discussed what natural gas is and how to detect it, you can encourage your children to take part in preventing natural gas leaks. You can inform them to never use gas appliances to heat the house. Don’t pile boxes, paint or anything flammable around gas appliances because of fire hazards. Any gas line markers shouldn’t be picked up or moved because this indicates where the gas line is hidden. They should never play around gas appliances. Playing is for playrooms and outdoors but never around gas appliances. Show your children examples of different types of gas appliances, even if they aren’t in your home. They may very well be at a friend’s home or at a school and need to be recognized, as well. If you have question about natural gas and would like to know more for the safety of your family, contact the best local propane supplier in Palm City. Elite Gas Company services the Stuart and Palm City area and focuses on gas repair and gas leaks 24/7 so you don’t have to worry. Within minutes, a professional propane dealer will be at your door ready to tackle all your gas needs. Contact us today for more information! Propane heaters are among the many widely-used items for homeowners. In case of an emergency, the heater is ready for use. The propane tank is a great way to efficiently and quickly heat the desired area. But in order to get the most out of your heater – and play it safe – specific care must be taken. This article will breakdown the proper propane standards and safety when you need to use your propane heater. Propane heaters serve their purpose but not without safety precautions. Carbon monoxide is a harmful, odorless gas that is deadly in closed spaces. Use caution when operating this machine by keeping your propane unit outside your home or workspace. Place your heater in a well-ventilated area away from people. Outside is the best place to keep your heater as it will rid any fumes from entering your home. You can efficiently heat the closed space without breathing in the toxic odors by angling the heater through an outside window. There are different types of heaters with BTU (British Thermal Unit) ratings and the higher the rating, the more powerful the unit. If you’re using the the heater in a small room, you don’t need a high rating. Before you power on your propane heater, check your connections. Propane is highly flammable and should there be a leak anywhere on the tank, it will cause an explosion. In order to ensure the tank is leak-free, make a soap and water solution and apply it to the tank. If you see the solution start to bubble anywhere over the tank, you’ll know right away there’s a leak and the tank needs to taken to a propane dealer in Palm City. Once you have a full and damage-free tank, you can proceed with lighting the heater. Most propane heaters have a label indicating where to light. In order for a sufficient amount of fuel to enter the area of ignition, it’s crucial to have your tank on a medium setting. You can ignite the ‘light here’ by match or torch and your tank should activate immediately and remain active until fuel is low or it’s shut off. Some models have a valve that you push as you light the match. This valve sends the fuel directly to the lit match. When it’s time to shut down your propane heater, turn off the valve that is set to medium and your tank will begin immediate cool-down. Propane heaters are a wonderful element to add to your emergency items lists. Safety precautions and preparation guidance is necessary should an emergency arise. Propane has has many uses, especially when it comes to emergency storm prep. And whether you’re looking for commercial or residential propane in Palm City, it’s important to find a reputable dealer. Elite Gas Co. has been servicing the Palm City area for 16 years and counting. Our dedicated team of professionals are ready to offer sound advice when it comes to your propane needs. Drop us a line today. We are ready to answer your propane questions! If you’re familiar with your propane tank and notice that it doesn’t quite reach the top when you fill it, you may be wondering why. Propane tanks are filled to 80% of their capacity, known as ‘The 80% Rule’. About 14 million families worldwide use propane as a means of heating, cooking and cooling. Few know why you can’t just ‘top it off’ when it comes to filling the tank. While the main reason is safety, these broken down reasons will remind you to keep the 80% rule in mind when filling your propane tank. Just like water, propane expands with heat, over 17 times the volume and much more than water. Above ground tanks – such as a gas grill – are vulnerable to weather changes. Underground tanks are less susceptible to weather change so they can hold a bit more. The 80/20 rule can be calculated by 0.8 and the size of your propane tank. No matter how you use your propane tank, it’s important to consider the 80% rule. So how do you know if your tank is at capacity? Aside from using the 80% rule calculation, there are a few simple ways to test the capacity of your tank. While it’s not entirely accurate, this method will give you a good idea of how much gas is in the tank. First, unplug the tank completely. Fill a small bucket with warm water and pour it up and down the side of the tank. If there is enough propane where you poured the water, the tank will feel warmer. If not, it will feel cooler. The average propane tank weighs about 18.5 pounds empty. You can use a scale that you have at home to weigh your tank and subtract that from 18.5. This is an accurate way to determine how much propane you have left. Another sure-fire way to determine the capacity of your tank is by a reading gauge that you stick on your tank. This gauge will change color with the change of temperature as the gas or liquid in the tank gets lower. These ultrasonic tools are inexpensive and time-saving. Lastly, safety is always first when it comes to filling your propane tank. This is the main reason that homeowners use the 80% rule and follow it. If you’re still unsure about the accurate capacity of your propane tank, contact an expert local contractor. Should you notice any odors emanating from your grill other than food related, shut it off and contact a propane expert. You may need a replacement tank altogether. 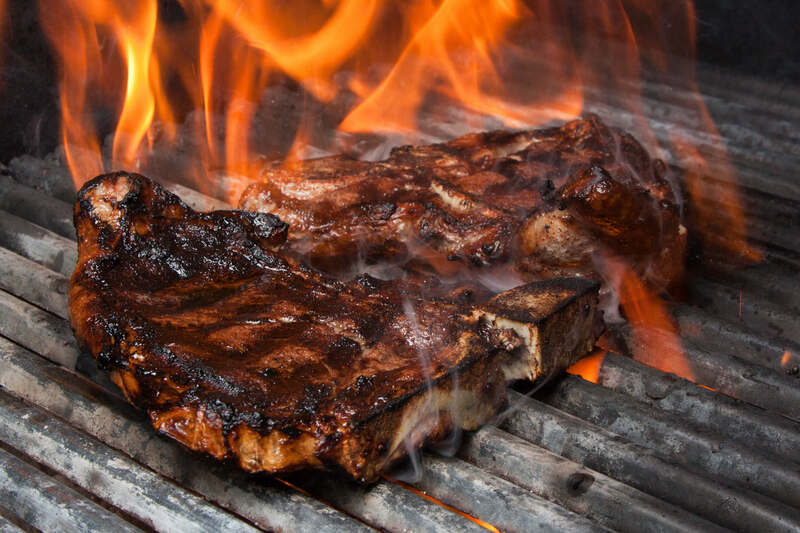 A good BBQ starts with safety precautions and obtaining the best propane tank for your needs. Are you ready to turn in your old tank or looking to get a new one? Contact the Elite Gas Contractors for estimates and expert advice today! Many homeowners these days are improving or building outdoor living areas like decks and patios to enjoy the outdoors with family and friends. One of the most effective and efficient resources that can help to enhance any outdoor living area is a gas patio heater. They provide warmth and comfort all year long to help you enjoy outdoor living and entertainment even more. When you have a patio heater you no longer have to limit yourself to outdoor entertaining and cooking to only the summer months. A gas patio heater can be fueled by either propane gas or natural gas. These are eco-friendly sources of fuel that will efficiently heat your outdoor area. There are also different styles of gas patio heaters to choose from and some heaters are bigger than others. Coverage area may also vary. So, determining fuel type, style of heater, coverage area, features and price are some of the main things you will need to consider when choosing a gas patio heater. The following are different styles of patio heaters and the way they are used. Keep in mind the differences and similarities while you are out shopping so you can make the best purchase! This style of patio heater can complement your outdoor decor quite nicely and conveniently fit on a dining table or side table. The coverage area will generally range from 5 to 15 feet, so the amount of warmth you want will help to determine the size of tabletop gas patio heater you choose. They are lightweight and small so they are easy to move around. They are ideal for adding warmth to a small outdoor area. Free standing gas patio heaters are more powerful and larger than table top ones. They fit well around the pool, near walkways or in patio corners, which make them ideal for outdoor entertaining. There is an average coverage area of around 20 feet in diameter, which allows you to keep a number of guests warm at the same time. This type of patio heater mounts to your patio cover. It is easy to install one and they provide plenty of warmth for a patio. Most models provide a 20 foot coverage area, and you can strategically install one so that it radiates warmth exactly where you would like it to. They also free up space, since they are mounted. Range: A majority of patio heaters designed for home use will have heating ranges from 3 up to 20 feet. There are also commercial outdoor heaters that are available that are much more powerful and have wider ranges but they use more fuel, have to be refilled more often and will be more expensive. Portability: More powerful, larger heaters might have extended ranges, however it can be more difficult to move them around and are not well suited for small, enclosed spaces. Wall-mountable heaters are compact and lightweight, but are harder to move after they have been installed compared to a freestanding model. Safety: Many free-standing, gas powered heaters include automatic shut off and anti-tilt features in the event the heater is accidentally knocked over. If you are looking to purchase any sort of propane gas patio accessories, there are a lot of different places to find what you are looking for. To save money on your purchases, you will want to be crafty and flexible. Below, we will discuss some of the best ways to save money while you are shopping for propane gas accessories. One of the main things that you are going to want to do is try to wait for sales. A lot of the times, retailers will hold various blowout sales on all kinds of products including equipment and accessories. This is especially true if you look after major holidays when a lot of people are looking for these kinds of products including July 4th. By shopping during sales events, you will be able to save a lot of money on the products that you would normally have to pay full price for. Another good way to save a lot of money on your accessory purchases is by using coupons. By using coupons, you will be able to save an incredible amount of money because you are going to be taking a huge chunk of money that you would normally have to pay and get it deducted off the top. This alone is a great way to save money, but when combined with sales events, can make for a very great way to spend less. Another good option would be to wait for cashback offers. By waiting for cashback opportunities and offers, you should be able to cut down on the amount of money you end up paying by a significant margin. This is primarily because you are going to get the price deducted in the form of cashback. This is a good way to save money if you have some sort of cashback credit card or by making online purchases that participate in cashback web portals. By using this, you will typically save anywhere from 1 to 5 percent. Sometimes you might be able to find savings in excess, but it should not be expected. Another good way to save money on propane gas patio accessories is by shopping for discounted gift cards. By shopping for gift cards that are discounted from a specific retailer that sells propane gas accessories, you should be able to save a good amount of money by using them to make your purchases. Overall, there are plenty of ways to save money whenever you are shopping for propane gas patio accessories. The key is knowing where to look and when to go shopping in order to maximize your savings. Whether you need the accessories now or later will likely impact the amount of money you are able to save. Try to utilize some of the tips above and you should be able to cut down on the total cost that you end up paying for the products you are looking to buy. When it comes to managing your home, there are so many decisions that you have to consider. One of them is deciding what heating system is the best to be used in your home. To give you an idea, propane offers different advantages that makes it a great choice. It can be used for different purposes, whether you are in need of residential propane for fueling indoor appliances like dryers or ovens, or you want to fire up your grill for the summer, propane gas is a great choice. Here are some of the benefits that you can get from using propane gas. According to the 1990 Clean Air Act and Energy Policy of 1992, propane is one of the cleanest fuels. It does not contaminate soil or groundwater. It has a lower carbon content that produces minimal emissions. If you want to maintain an environment-friendly home, propane gas is the best solution. In emergency situations where electricity can not to be used, propane-fueled appliances can still work. It is safe and reliable and always there whenever you need heat. It only requires a filled and well- maintained propane tank. One-gallon of propane can provide twenty-seven kilowatt hours of electricity. If you use propane, always remember that propane tanks can only be filled eighty-percent of its capacity to allow for expansion. Propane is considered an affordable alternative to electric appliances. A propane dryer can be as much as 50% more energy efficient than an electric one. In addition to that, tankless propane water heater are also very energy efficient. There are lots of people who associate propane with outdoor grills. But propane can also power up many appliances. You can use it for cooking or home heating. Propane fireplaces offer more heating and eliminates soot and ash that are produced by wood fireplaces. Ovens, clothes dryers and ranges can be run by propane fuel as well. There are lots of options that are available if your house is equipped with propane.